I woke up this morning convinced that it was Saturday. I honestly couldn’t understand why Mr. Boo was asking me to get up as the children weren’t awake yet. Then it hit like a bomb… It’s only Friday! I think it is my brain telling me that it is almost half term and time to relax. Tigger is on the countdown to half term so that he can go and watch The LEGO Batman movie. Mr. Boo had been promising to take him since the adverts appeared on the TV weeks ago. 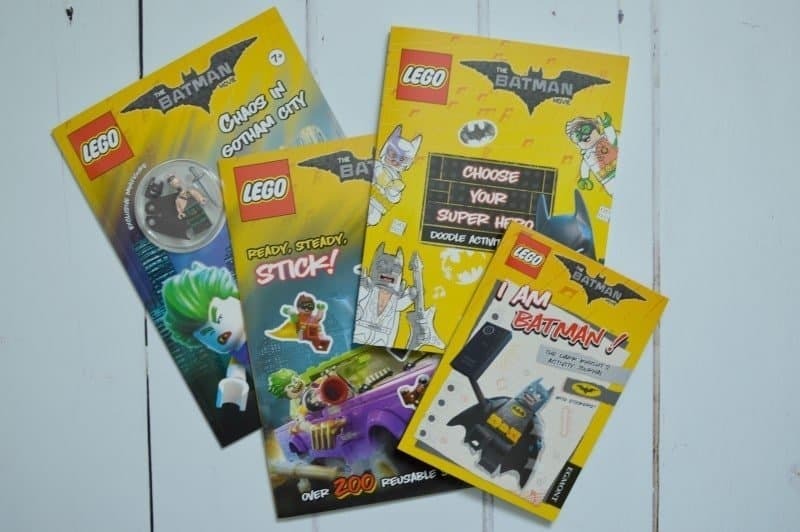 To get him ready for the movie he has been enjoying LEGO Batman books from Egmont. Anyone who knows me will tell you how much I loved Gavin & Stacey. A combination of humour and the welsh accent gets me everytime. This week Mr. Boo had a look through the Sky Boxsets and downloaded Stella for us to watch. I’m only two episodes in and I’m already loving it… there is something about the welsh accent that I just love. I’ve been listening to the radio a lot this week and loving Train – Play That Song. It’s so catchy that once I’ve heard it, it stays in my head for hours afterward. Lists – Lots and lots of lists. I feel as though I am spinning lots of plates at the moment so decided to make lots of lists for each thing to get it all out of my head. Whilst I still need to complete all the things on the lists, I can at least see at a glance what is next to do. I’ve finally succumbed to the bobble hat fever that is taking over the nation. Roo and I have matching ones from Quiz Clothing. I’m not really a hat person but it’s been so cold recently that I really needed to get one for the school run and upcoming half term. Half term is finally here. Christmas feels so long ago and the children seem to have been back at school for ages. It will be so nice to have them home for the week, plus Mr. Boo is off too so we can have some fantastic family time. I’ve not heard of Stella but it’s now on my list.